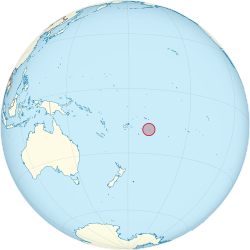 Niue (Niuean: Niuē) is an island kintra in the Sooth Paceefic Ocean, 2,400 kilometres (1,500 mi) northeast o New Zealand, an east o Tonga, south o Samoa an wast o the Cook Islands. ↑ "Repertory of Practice - Organs Supplement" (PDF) (8). UN: 10 . 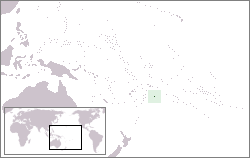 ↑ "Niue". The World Factbook. Central Intelligence Agency. Retrieved 11 May 2015. This page wis last eeditit on 4 Mairch 2018, at 04:03.